Secure your lodging by directly contacting the Hilton Myrtle Beach Resort and Kingston Plantation at (800) 876-0010 or online at www.kingstonshores.com. CFIC will email discounted room information to its members. Note the hotel room block ends on Saturday, June 1, 2019 however the most desirable rooms sell out well in advance of that date. Room rates include basic guest room Wi-Fi, self-parking, shuttle service throughout the resort and up to a 2-mile radius outside of the resort, 1 hour of tennis court time per day, Splash Waterpark, Sport and Health Club access, and children’s activities. Hotel check-in is at 4:00 pm and check out is at 11:00 am. The Myrtle Beach Hilton is located about 14 miles from the Myrtle Beach Airport. To reserve a sleeping room within the room block, attendees must secure the reservation with a valid credit card along with a first night’s deposit refundable up to three days in advance of the convention. All credit cards used to prepay the deposit will be charged immediately. It has been brought to CFIC’s attention that outside companies and alleged travel agencies/services have contacted attendees urging them to book guest rooms through their company with supposed discounts. 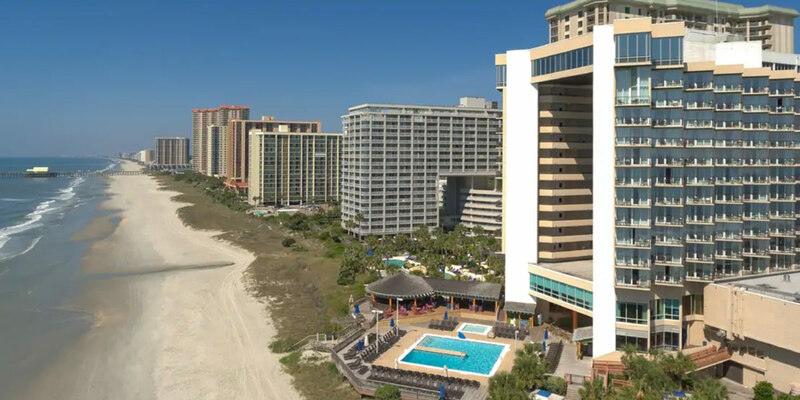 We advise you to please only book your guest rooms through the Hilton Myrtle Beach Resort and Kingston Plantation directly as many of these outside companies are not legitimate.